To ensure your blinds look their best and continue to enhance the aesthetics of your room, it is important that you carry out good upkeep. 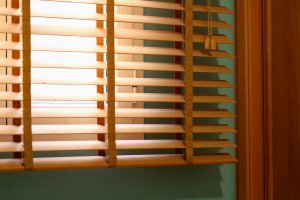 Customers often want to know how they should look after their new blinds and what cleaning techniques to use since these items aren’t the simplest to clean. However, with regular dusting and deep cleans as-and-when necessary, you can ensure your blinds stay looking good as new. Read on for our tried and tested advice and a few handy tricks for easy blinds cleaning. You can use a regular feather duster to brush off the build-up of dust on your slats. Simply close the blinds and run the duster across the surface then orient the blinds so the slats are facing the other way and dust down the other side for an effective light clean. For easy yet powerful dust busting, you can use your vacuum on aluminium and faux wood blinds. Use the brush attachment and a low suction setting to ensure you don’t scratch or disfigure the slats, and then just run the vacuum across your blinds to give them a good refresh. To thoroughly lift away dust from your blinds without spreading it around your room, use a clean sock over your hand. This trick is very easy, yet effective; open your blinds and then, holding a slat between your fingers and thumb, run your hand across it to collect up all the dust and repeat for each slat. For a more in-depth clean, dampen the sock with a 50/50 mix of white vinegar and water and use the same method – this will clean away any accumulated grime. Elegant real wood blinds have slightly different requirements to their faux wood counterparts. Often, they will have been pre-treated with a finish to repel dust and dirt but, over time, they will still require some cleaning attention. Wooden blinds should be dusted with a feather duster, microfibre cloth or using to clean sock method, as described above. it is best to wipe them with a damp microfibre cloth. However, it is important not to use too much water as the blinds shouldn’t be allowed to get wet – this can lead to the wood warping. Fabric blinds – from Romans to rollers – can be easily dusted down using the brush attachment of your vacuum cleaner on a low suction setting. Alternatively, for a quick and easy refresh, you can use a lint roller to whisk away light dust. Should you encounter any stains during your dust, light spot cleaning can be carried out by dabbing at the mark with a cloth dampened with warm soapy water. Don’t be too heavy handed though as this may affect the colour of your fabric on the patch in question. Make sure the spot is left to dry before retracting the blind to prevent mould. Leamington Blinds have a wide variety of beautiful blinds, ready to be tailored to your home. 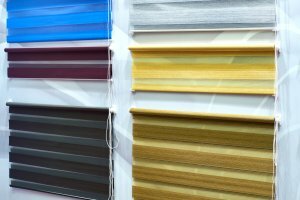 With a large selection of styles and fabrics on offer, we have blinds to suit any interior style and requirement. Our well-trained experts offer a high quality, made-to-measure installation service, ensuring your new blinds operate seamlessly. For friendly advice or further information regarding our services, don’t hesitate to contact our helpful team today – we operate in and around Leamington Spa.